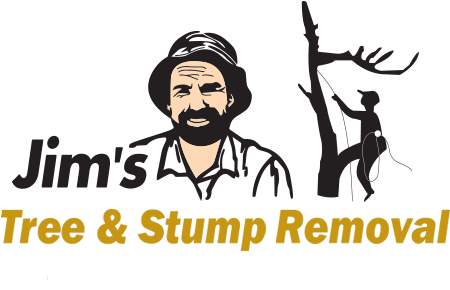 Jim’s Trees – Expert Arborists . Need professional tree services? Our tree cutting and lopping services are delivered by highly trained arborists at affordable prices. We understand the importance of proper tree care, which is why we’re dedicated to taking care of trees, the environment and the people that live around them. We also specialise in stump grinding and removal, mulching and pruning, and have become one of the leading tree loppers across Australia. Discover the Jim’s difference and get in touch today. Our call centre is open 7 days a week. Why Choose Professional Tree Loppers? DIY tree lopping is full of risks, which is why we don’t recommend taking tree care into your own hands. If anything goes wrong, it can put you in serious danger, as well as cause damage to nearby property or neighbouring trees. Special tools and equipment are needed for tree removal and other cutting services – and this is where Jim’s Trees comes in. As professional tree loppers, we apply our expertise to ensure your property is safe, and we never cut down a tree unless it’s absolutely necessary. By taking proper care of the trees around your home, you can increase the value of your property and avoid making mistakes that could be costly in the long-run. At Jim’s, we’re focused on providing the best customer service to every customer, and all tree loppers and arborists in our team strive for only the highest standards in their work. With franchises located all over Australia, we can offer tree lopping in Melbourne, Sydney, Brisbane and everywhere else. No matter if you’re looking for tree pruning or other tree services, our specialists can come out to you to assist with all your tree care needs. See our locations page for a full list of areas we service. If you have any queries or would like to request a free quote from Jim’s Trees, just contact us online or call 131 546. Our team is looking forward to working with you and guarantees top-quality customer service, honest quotes and 100% satisfaction.